In 1943, he abandoned his scientific career to devote himself entirely to his pictorial work. Going against the dominant trends of his time, he says in the fifties its commitment to figuration, while doing almost despite himself, a few forays into abstraction. Bron on October 6, 1898 in Theize Charles spent his childhood in Epinal and visited Brittany for the first time in 1900. In 1909 he began living in Paris. After fightin in the artillery in the First World War, he entered the Ecole Centrale des Arts et Manufactures Academy in Paris and began an engineer there. Throughout his training he felt drawn to art and spent most of his personal weekends painting. He painted his first landscape in Caen in 1920. He continued to study as an autodidact in 1928. His first solo exhibition took place in the Gallery Jeanne Bucher in 1929. While visiting museums and antique dealers he continued to work as an engineer. 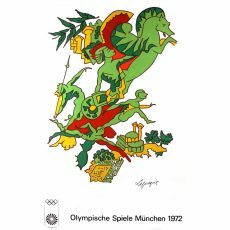 In 1935, Lapicque first met Gabriel Marcel (1889 – 1973) and, as a result, Jean Wahl (1888 – 1974). The acquaintance with the two philosophers formed the beginning of the philosophical and esthetic observations by the artist. In 1937, he received the commission to create five large wall designs for the Palais de la Découvert in Paris. One of these ("La synthèse organique") won him the medal of honor from the 1937 Paris World Exhibition. In 1941, Lapicque participated in the group exhibition "Vingt jeunes peintres de tradition francais" by Jean Bazaine (1904 – 2001). This was the first event of painting from the modern age under the German occupation. Two years later, the artist visited Brittany again. 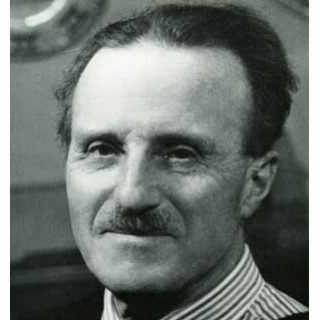 Charles Lapicque was only able to give up his job as an engineer through a contract with the Gallery Louis Carré in 1943. From that time on, he dedicated himself completely to art and created many works with the liberation of Paris as their theme. He also travelled to Brittany in 1945. The artist received the "Prix Raoul Dufy" of the Biennial of Venice in 1953. In the following years, Lapicque travelled to Venice four times and painted the villas, their gardens and inside furnishings, as well as the gables and facades of the churches. In addition, he also went on trips to Rome (1957), Greece (1963), Spain (1973), Holland (1974), Vézelay (1975), the castles of the Loire (1976), and Aix-en-Provence (1979). In the treatise "Essais sur l’espace, l’art et la destinée", which was published in 1958, Lapicque formulated the theory of his artistic works. Between 1969 and 1972, he produced sculptures of metal and plastic, as well as tapestries and many engravings and lithographs. In 1979, the artist was awarded the "Grand prix national de peinture". Charles Lapicque died on July 15, 1988 in Orsay (near Paris).